things that shine: 6x6 paper! 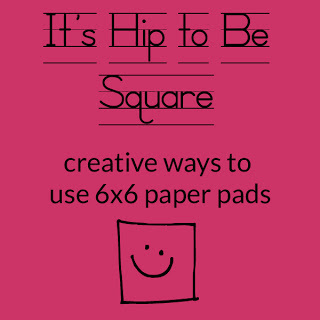 A 6x6 paper pad creative use series! Lisa Swift is hosting a series on her blog featuring creative uses of 6x6 paper pads. It started yesterday, and runs for one week, so you know there are going to be tonnes of great and fun ideas shown! P.S. Don't forget to check out the Jenni Bowlin Studio Hallowe,en Treats blog hop! Entries for give-aways end this Saturday October 20. Sounds great! Came over from 2ps, now following you! Great site!